Provide a tasty source of gelatin with this simple, scrumptious dog treat. The Canine Chef, Kirby the Dorkie, is back with another delicious watermelon recipe! 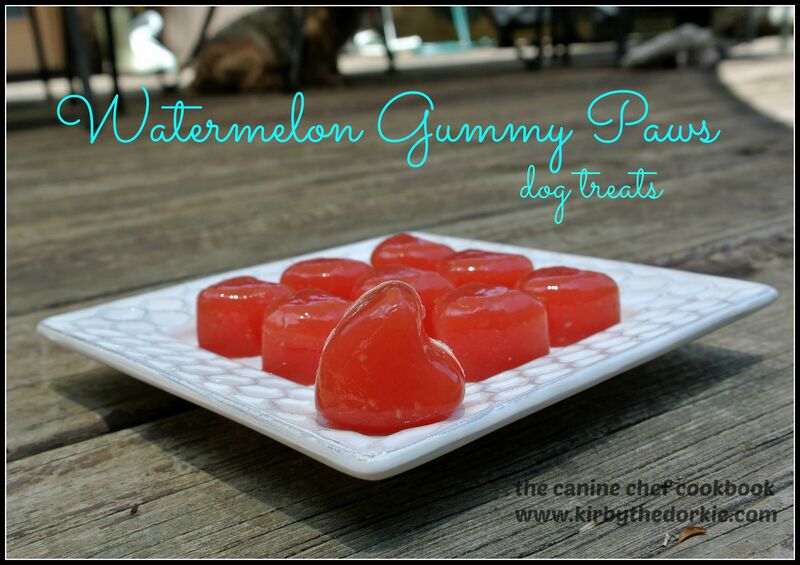 Today's summertime snack is a chewy watermelon treat that any dog is guaranteed to love: watermelon gummy paws! Pour into a small pot and bring to a boil. Remove from heat and let cool for 3 to 4 minutes. Whisk in the gelatin until dissolved. Make sure you feel no graininess when rubbing between your fingers. Allow the mixture to cool and then pour into silicone molds or pour into a jelly roll pan. They won’t melt and can be stored in an air tight container on the counter for a few days and in the refrigerator for up to 2 weeks.